When testing a dog’s detection reliability in a “controlled setting,” a key factor would be whether the test is double-blind. That is, neither the dog and the handler know where the drugs are hidden. As is often the case however, it is the handler that designs the test and the handler will cue the dog. Lawrence Myers, a veterinarian and neurophysiologist at Auburn University who is an expert on dogs’ olfactory capabilities, notes the handler “can’t help” but cue the dog and skew the training. 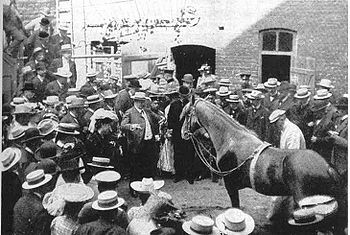 The unconscious cueing of animals is known as the “Clever Hans Effect.” Clever Hans fascinated audiences solving mathematical problems by stomping its front hooves. An investigation determined that the horse was responding to subtle, subconscious cues from its handler to indicate when to start stomping and when to stop. Of course that implies that the handler wants to optimize the overall performance. Police have strong incentives to use a drug detection dog that alerts promiscuously. Asset forfeitures are a powerful incentive for cash-strapped police departments. When an officer’s performance reviews and potential promotion are based, in part, on the number of drug busts and drug seizures made, and the use of a dog prone to false positives is to an officer’s personal advantage. K-9 teams use many tricks to conceal the dog’s supposed “alerts.” If the scene is being videotaped by a police dash-cam, the officer will stand between the camera and the dog, or take the dog to the front of the suspect vehicle where the dog is out-of-sight. Many police departments has stopped recording K-9 teams because “the dogs don’t alert when the cops say they alert.” Handlers also use excessive verbal encouragement and lavish praise to get the dog to respond. The Supreme Court is set to decide Florida v. Jardines, a case involving a drug detecting dog that was brought up to the front door of Jandines’s home. The dog sniffed around the front door for a minute or two and the officer claimed that the dog alerted. Based on the dog’s alert, a search warrant was obtained. The Florida Supreme Court determined that the search was illegal because the dog’s inspection of the front door was an illegal search. Keep your fingers crossed. H/T: Radley Balko, Jacob Sullum, Julian Sanchez, Orin Kerr, Jacob Sullum. Double blind does not mean “neither the dog or the handler know where it is”! That is single blind. Double blind means that NO ONE in the test environment knows where it is. The person who hid the target odor is not present during the test for ANYONE (dog, handler or evaluator) to take cues off of. OMG…..I cannot believe the author even wrote that, that is BASIC SCIENCE people! The truth is that dogs can’t detect lies, but they certainly can detect human body language, like the body language of a Florida Highway Patrol trooper who wants to find drugs in a car, whether the drugs are there or not. Thanks for the link, anonymously posted. Great article. 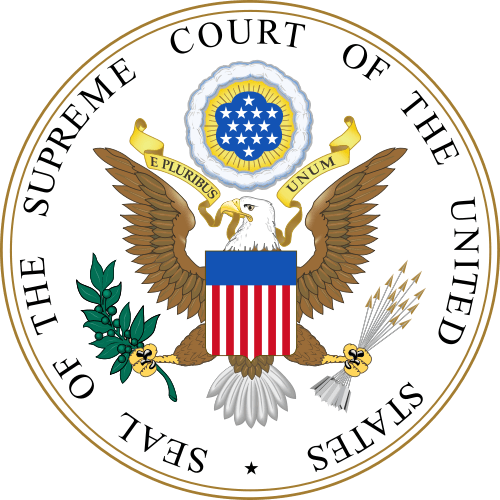 The Supreme Court’s decision is particularly alarming when one considers that drug-sniffing dogs, even expertly trained dogs with reliable handlers, are rarely accurate. One study demonstrated that dogs were incorrect in drug identification up to 60% of the time. A 2011 study published in Animal Cognition involved a series of tests, some designed to fool the dog and some designed to fool the handler. The dogs in these tests falsely alerted 123 out of a total of 144 times. When a test was designed to fool the handler rather than the dog, the dog was twice as likely to falsely alert. Indeed, the next decision from the Supreme Court might just take the Fourth Amendment down for the count. Raff, that is a good thing actually. But regardless I truly think fear is a major part of it. Answer this. What do you think would happen if they said everyone had to turn in every gun they owned tomorrow. If you answer anything other than immediate ‘Revolution’, you have guessed incorrectly. I think the reason the 2nd amendment is harder to restrict is the lobbying forces against it. The issue with the opinion is neither the reliance on hearsay, nor the inability to cross-examine the dog. The legal issue is the reasonableness of the officer’s reliance on the dog. This opinion basically creates a test which rewards law enforcement for failing to generate and provide evidence which might establish that such reliance was unreasonable, but as to any dog the information will not be available from any other source. The suggestion that the searching officer’s own training of the dog (which involved the officer hiding materials and then using the dog to find them) has any value at all in this analysis is ludicrous. Also everyone please keep in mind, the 2nd Amendment is the entire reason that our freedoms even lasted this long to begin with. raff, SCOTUS is increasingly ruling against the Bill of Rights as a whole. The biggest reason the 2nd is not messed with quite as much by either SCOTUS or Congress is because they know that if they attempt to ‘grab guns’ that they will probably be reaching for them… with the barrels pointed at them. It is interesting to me that when it comes to attacking the First or Fourth Amendments to the Constitution, the judges have no problem or hesitancy to chip away at their protections. If that is true, why do the protections of the Second Amendment seem so sacred? Aren’t Free Speech zones and decisions that strip away the need for a warrant just as onerous as reasonable gun control? Wonderful article nal…. I saw a or read a piece that dogs can be trained to give false positives scents…. It’s all in how the handler trains them… Pretty much like the Utah troopers arrest…. Until challenged… They stand…. Idealist is right-on. I can see a case arising where blind guy named Donald and his guide dog say one thing about pot being in the car and LEO and his k-9 say another thing and its the k-9’s word that trumps Donald. Only in NY. This place is popular. Rolling down from the blog…..past the comments. Dog trainer will give signals unconsciously of presence when dog nears goal. Dog observes trainer, responds to the signal, and gets a dog goody. The snuffling and the runaround is also taught by receiving goodies. Crooked dog handlers incentivised by his reward system, plays the odds and signals the dog (unconsciously?) to mark. which gives the LEO a chance to mangle the bill of rights and get a reward. Of course there are correct ways to train dogs to smell out stuff. But who needs correctness when you are playing the odds. Who are the dumb persons here? Us or the Sct? The Supreme Court? Don’t they also get goodies. For approving stupid bills, for not approving others, for not taking a stance at all. Lots of ways to get a goody. It’s safe to say that this thread has gone to the dogs. So you can cross examine the LEO who relied upon the hearsay of a dog but not cross examine the dog. I guess its like the commercial with the kid with the southern accent: Its not fried chicken daddy, its Shake n Bake. Lets mix up the constitutional standards. We deny a cop the right to testify as to what a person said and require the person to be brought to court to be questioned in front of the jury in open court so that they can question and examine the credibility of the person. But we allow the cop to testify as to what a DOG said without the right to bring he dog into court to allow the jury to examine the credibility of the dog. Is it not time that we exclude DOG STATMENTS? What kind of Supreme Court do we have in this country? Did any of them ever try a lawsuit as a defense counsel in thier whole lives? Inquiring minds want to know.